The United Steel Workers along with CUPE BC are asking that you take a moment and sign the petition calling for a public inquiry into sawmill explosions. Thank you for your support! With your help we can ensure workers and their families get the answers they deserve. What caused the explosion? Why did the policies and practises that are supposed to protect workers fail to do so? Why were the investigations so badly botched? 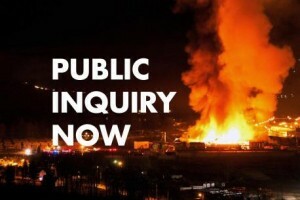 To date, the Premier has refused to call a Public Inquiry. But with your support we can convince Christy Clark and her government to keep their promise and stand with the workers and families of Babine Lake and Lakeland sawmills who were promised justice. Please consider forwarding this email to family, co-workers and friends. Thank you very much for taking action on this most important issue. With your help, I know that we can get a Public Inquiry and help everyone get the answers that they deserve.